With autumn in full swing and winter slowly approaching we thought we would help you ensure that your home keeps its cosy, rosy atmosphere. 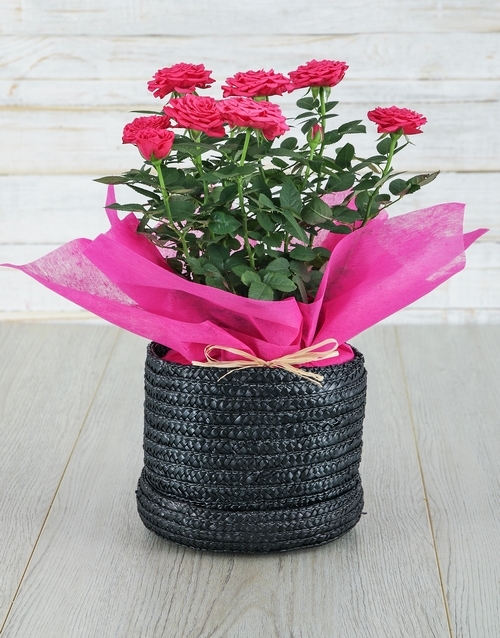 Here are a few tips for keeping your indoor rose bushes blooming during the colder seasons of the year. Roses tend to go dormant during winter and their leaves seem to fall but these tips will help keep your rose bush perky! 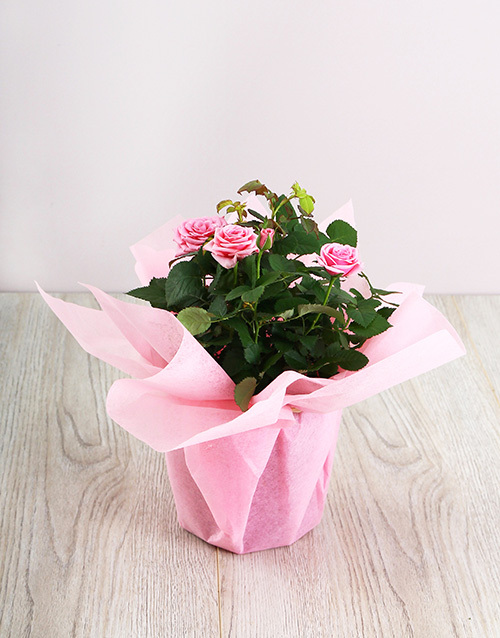 Indoor rose plants get extra thirsty, so be sure to water the plant once every two days. Use two blocks of ice each time, depending on the size of the rose bush. The rule of thumb is two ice blocks per plant that is similar in circumference to a side plate. Place the plant in direct sunlight as these buds don’t bloom without the sun’s enlightening rays. The average amount of sunlight, per day, an indoor rose bush needs, is six hours. A 45° angle is the norm when pruning a rose bush. Don’t be quick to pluck the dead petals and heads off with your hands because tearing them off can damage the stem. Newly purchased plants won’t need pruning. However, as the plant gets older, you’ll want to remove dead branches or any cross branches that rub against one another. 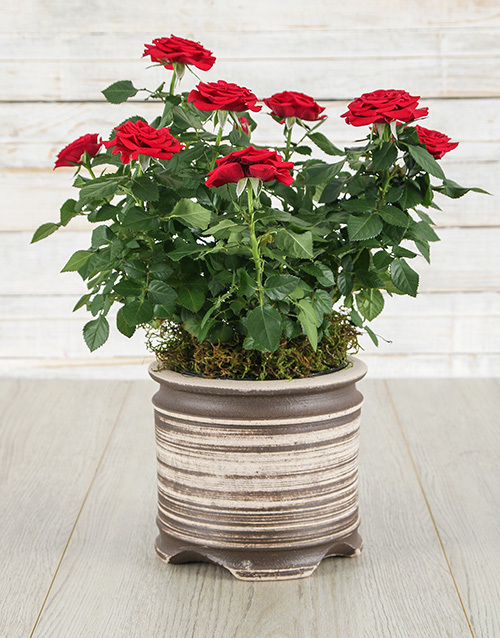 Sitting your plant on a bookshelf in the cold study can cause blackspot to develop on the leaves of your rose plant. It’s a fungus that needs to be treated correctly. Cut off affected leaves and treat foliage with a fungicide specially made for blackspot. Good air ventilation will help to prevent fungus so keep the plant by a slightly open window that receives sunlight.